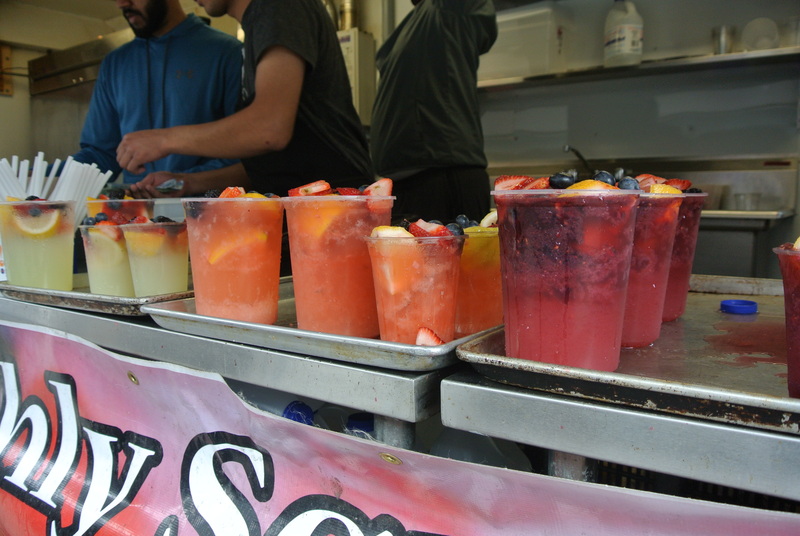 This past weekend, my friend S (along with friends I and F) suggested taking a short road trip to St. Jacob’s farmer’s market. 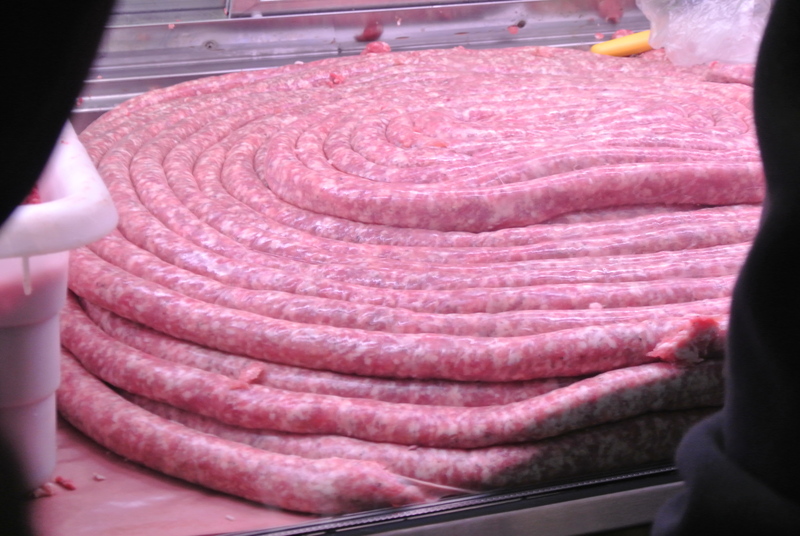 Located about 90 minutes west of Toronto, the town of St. Jacob’s farmer’s market is a fantastic outdoor and indoor market full of vegetable farmer’s selling mostly Ontario produce; butchers specializing in sausage and pepperettes; and cheese purveyors. Across the street is an antique market and a small factory outlet. 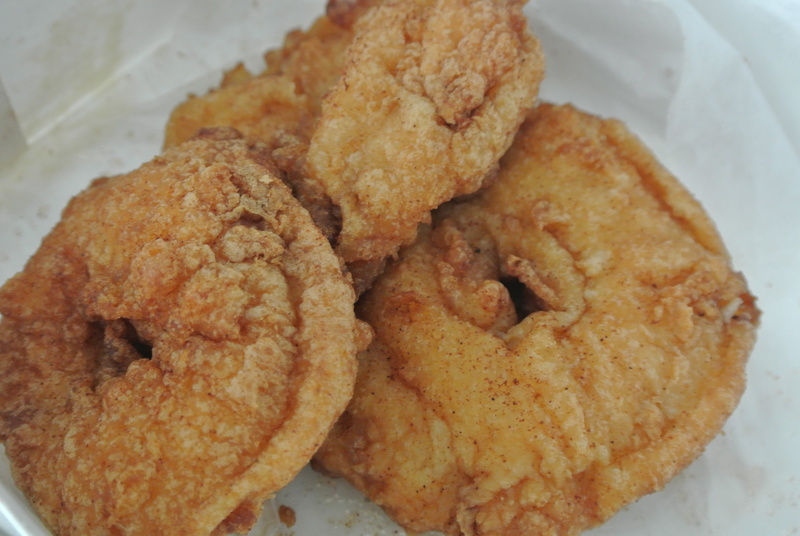 However, the market is especially known for its apple fritters. 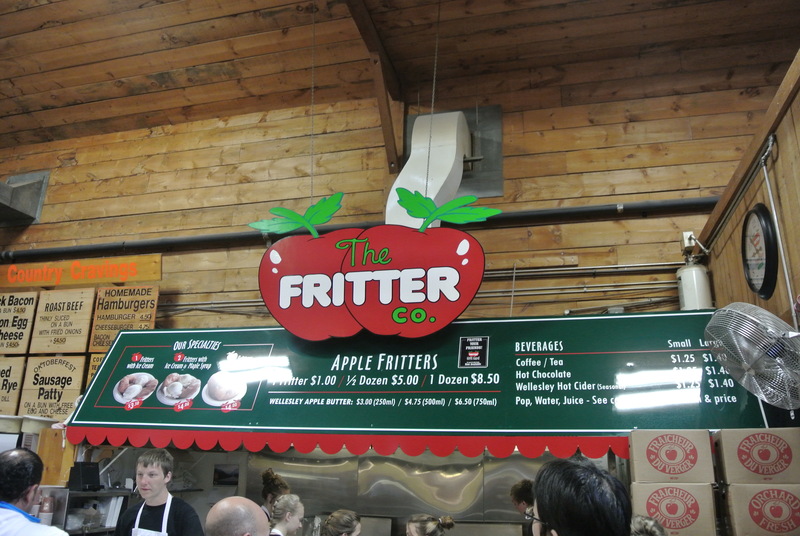 I’ve visited the market a number of times in the past and every time I go, the apple fritters stall in the small indoor food court has a long line snaking around the building. This time though, we decided to go bright and early in the morning, 7am to be exact, and to my joy there was only a few people in line for apple fritters! So after many tries, I finally got my hands on some apple fritters! 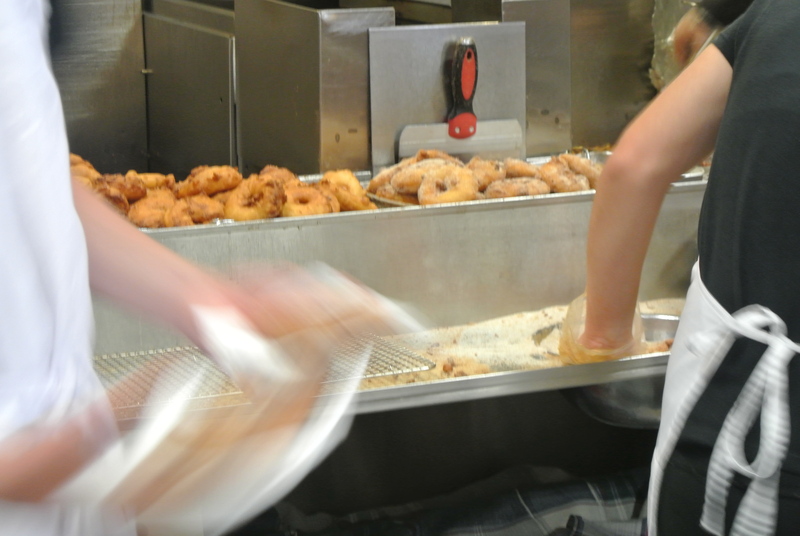 And they completely lived up to its reputation – they are thick apple rings that are dipped in a donut-like batter, deep fried and then sprinkled with cinnamon sugar! Delicious! Check it out! Apple Fritter stall at St. Jacob’s. Apple fritters with cinnamon sugar! 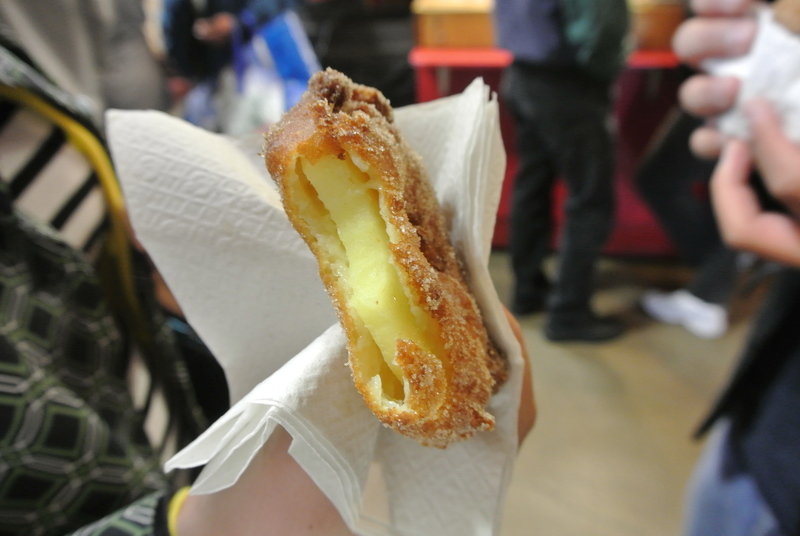 The inside of the apple fritter – an apple ring! Crisp, light and delicious! 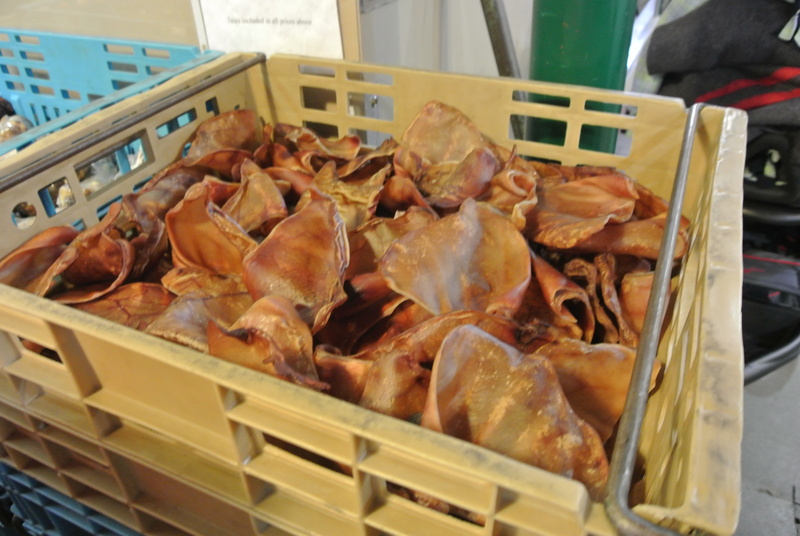 Pig ears, for your dog! 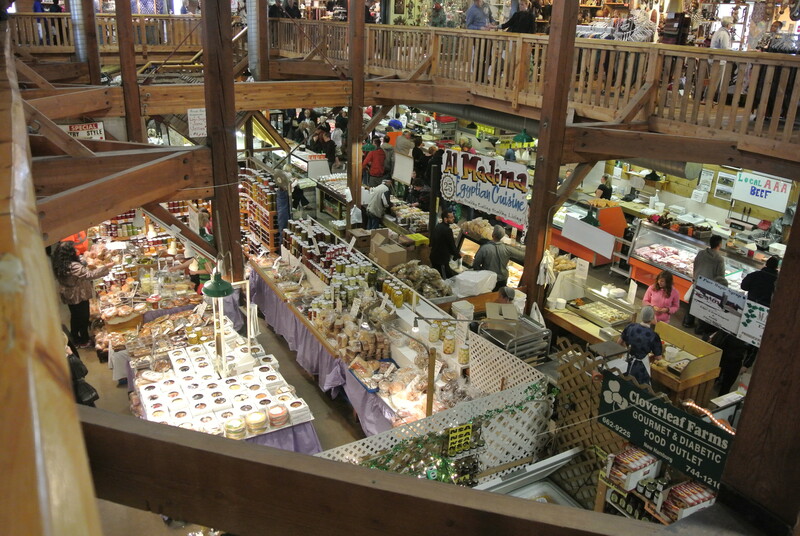 Inside the St. Jacob’s Farmer’s Market. 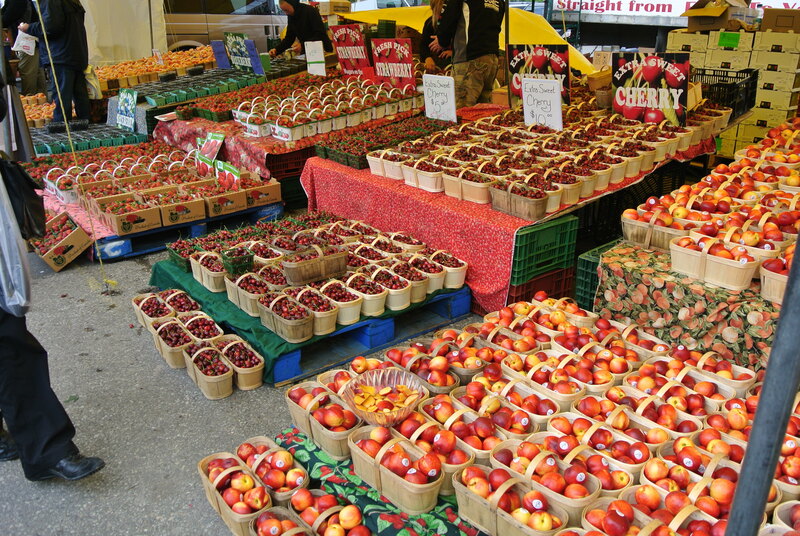 Beautiful fruits at St. Jacob’s Farmer’s Market. 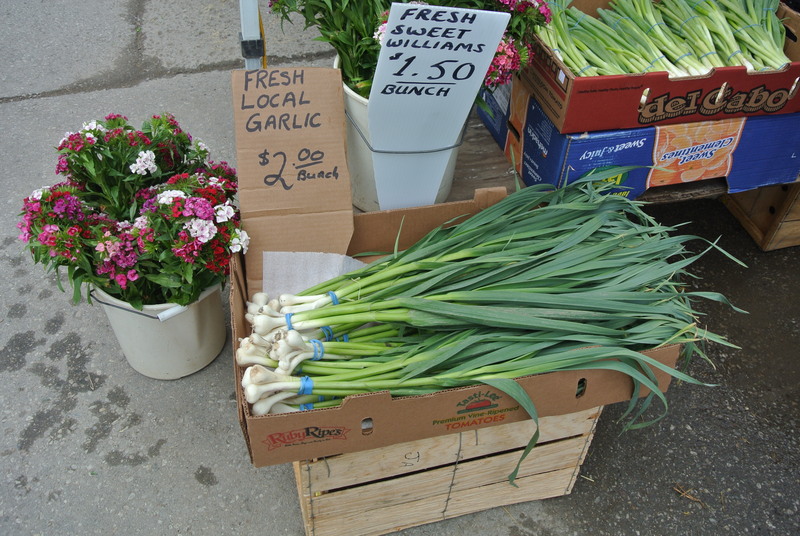 Fresh Garlic – who knew? Homemade lemonade – original, strawberry and blackberry! YUM!